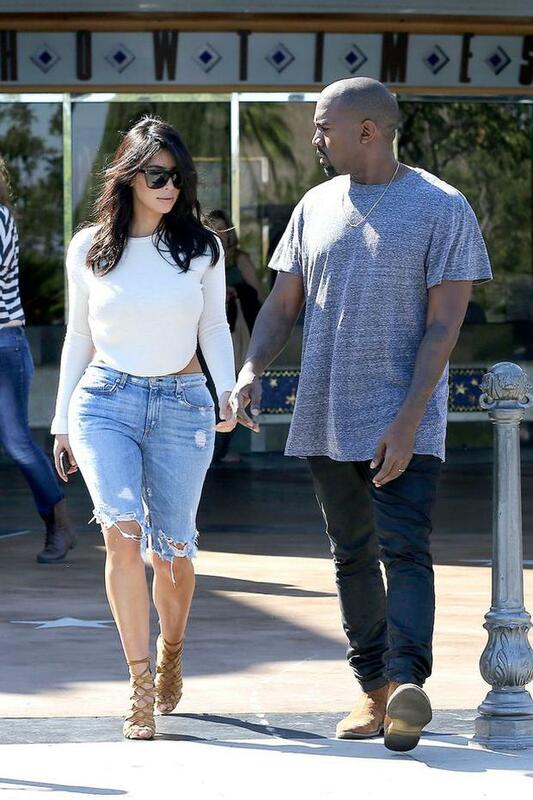 She might have millions in the bank, but it seems Kim Kardashian is still partial to recycling her old jeans. The 33-year-old reality star was papped near her home in Calabasas, Los Angeles as she attended the cinema and Taco Bell with her rapper beau. The mum-of-one is evidently enjoying some downtime, as she prepares to celebrate her 34th birthday next weekend, with a lavish bash in Tao nightclub, Las Vegas. Kim’s outfits often divide opinion- and on this occasion it was no different. The svelte brunette opted for a backless white boatneck top, with knee length denim Bermuda shorts. The trousers, which looked as if they’d been subject to a DIY job with a pair of scissors, certainly accentuated the 5’2” starlet’s ample derriere. She teamed the questionable look with lace up gladiator heels and Ray Ban Wayfarers. In terms of denim catastrophes, this is up there with the most unforgivable of sartorial sins in our books. 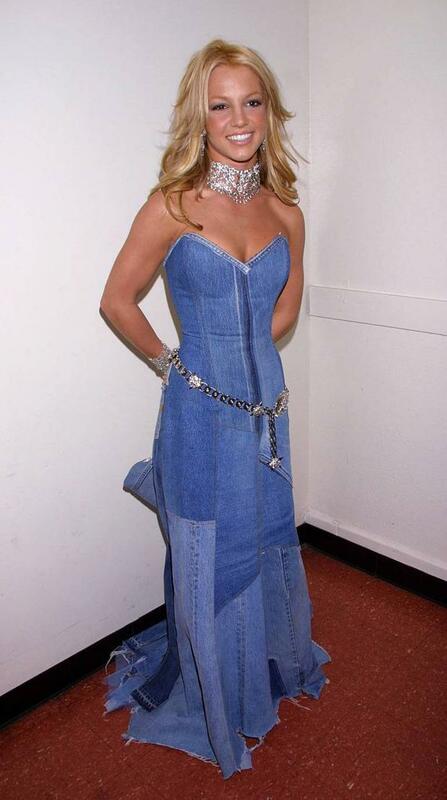 Don't: Jean dresses- a wardrobe staple best left behind in the 1990s. Do: Embrace flared jeans, the perennial 1970s favourite, best combined with loose blouses and flowing peasant shirts. Don't: Denim jumpsuits are tricky territory, and a word to the wise: if not even Rihanna can pull it off, it's probably one to avoid. Do: Double denim might conjure up some frightful images, but bear with me. Take your cue from style maven Olivia Palermo, and chose well fitting separates in contrasting shades with neutral accessories. Garth Brooks who?